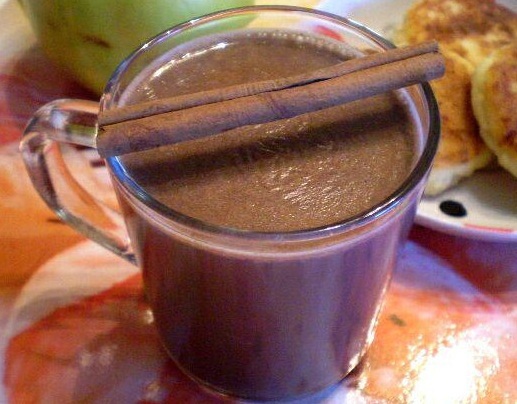 Hot chocolate in Italian – nectar, which will warm you dank autumn evening. The Italians know a lot about desserts, the taste of this drink is close to perfection, he is like a child, and adults. Hot chocolate obtained sufficiently viscous and thick, so it may be advisable not to drink it, and eat with a spoon. So do at home goodies, in sunny Italy. Boil a hot beverage can be at home, it is not difficult. The only problem is that, that there is one specific component in its composition – arrorut. It crushed root of a plant arrowroot. The grind as it is very similar to corn meal, and which advantageously replaced when the beverage brewing. mix cocoa, sugar, flour, cinnamon. Gradually add milk, good breaking all lumps. Put the weight on a small fire, and all the time interfere chocolate. We follow, that it is not stuck to the bottom. We are waiting for some 10 minutes, until the drink starts to boil and thicken. Keep on heat for a bit. Turn off the heat and pour the chocolate in a cup. enjoy. If you are preparing a chocolate-based drink, then you need to grate and add to the very end, when it boils milk with sugar and starch. Then pour zest. During cooking, add some half a spoon of butter. Also in the cup with a drink you can pour a little rum. 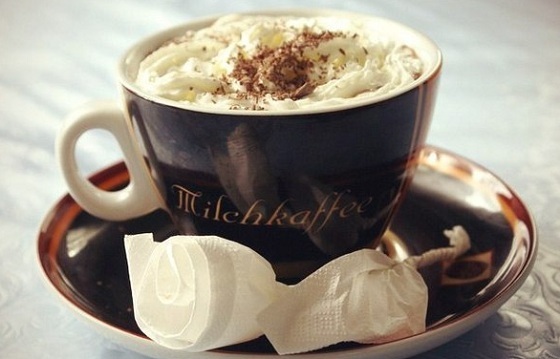 Enjoy your evening with a cup of chocolate in his hand!